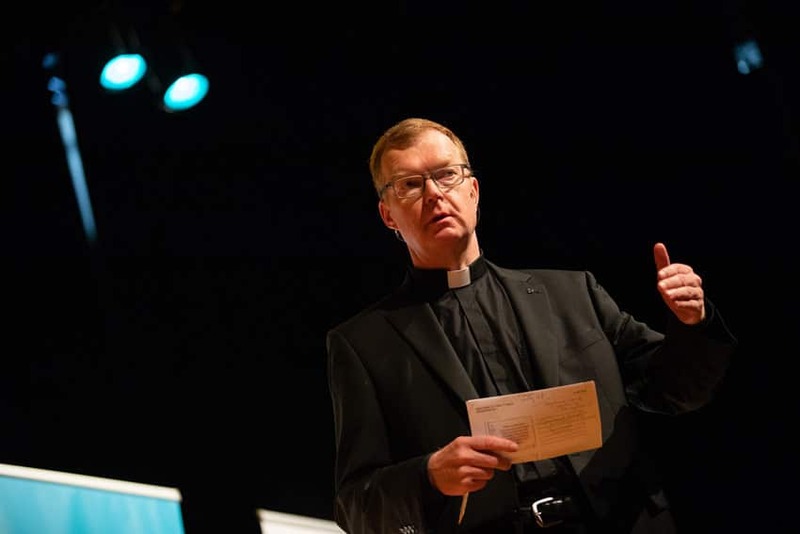 30 Nov Fr Hans Zollner SJ, President of the Centre for Child Protection at the Gregorian University, is appointed by Pope Francis to committee headed by Chicago Cardinal Cupich for February 2019 meeting on the protection of minors. Pope Francis’ choices of committee members for next year’s meeting on the protection of minors shows his “determination” to address the issue, says former Australian Ambassador to the Holy See, Tim Fischer AC. On 23 November the Vatican announced Pope Francis had appointed US Cardinal Blase Cupich of Chicago, Cardinal Oswald Gracias of Mumbai, India, Archbishop Charles Scicluna of Malta and Jesuit Father Hans Zollner to the committee for the February 21-24 meeting. Fr Zollner SJ is president of the Centre for the Protection of Minors at the Pontifical Gregorian University and a member of the Pontifical Commission for the Protection of Minors. He spoke at Campbelltown in the Diocese of Wollongong in September.